A dream-like tumble through the beetle-filled world of two dolls in love. Zero computer animation was used in the making of this film. Several of the ideas are based on dreams. Production took nine months. Written and directed by Troy Farah. Based on the story “The Steadfast Tin Soldier” by Hans Christian Andersen. 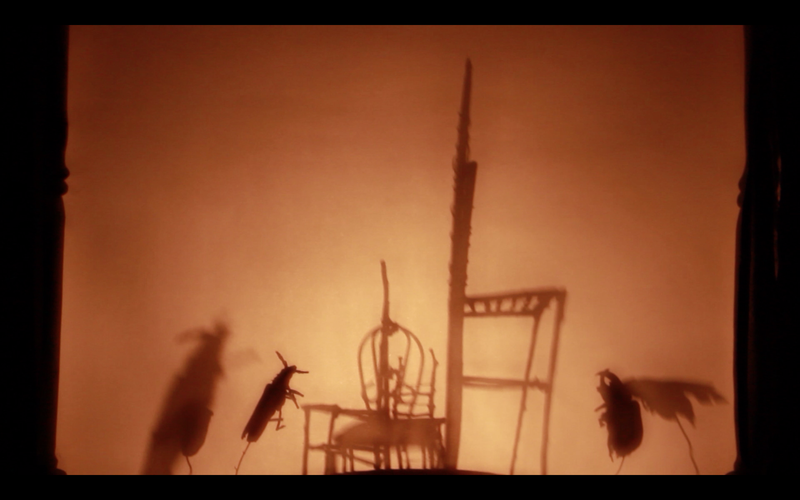 Art direction, character design, shadow puppetry by Dena Johnson. Paintings by Riayn Grey. Assistant Camera (final scenes) by Daniel Langlois. Credit music: ‘Make Me Feel Unsafe Again‘ by Emby Alexander. Used with permission. “The Long Game” was featured on AZCentral, and Phoenix New Times. © 2014 Music and Lyrics by No Volcano. Special thanks to Jim Andreas, Dale Doubleday, Nathan Langlois, Daniel Langlois, Jack Schwitz, Lucas Mullikin, Serene Dominic, Bethany Farah, Eric Daily, Garrett Farah, Neal Johnson, Kyle Anderson.